Christmas season has officially begun, and we couldn’t wait to share this fun project. 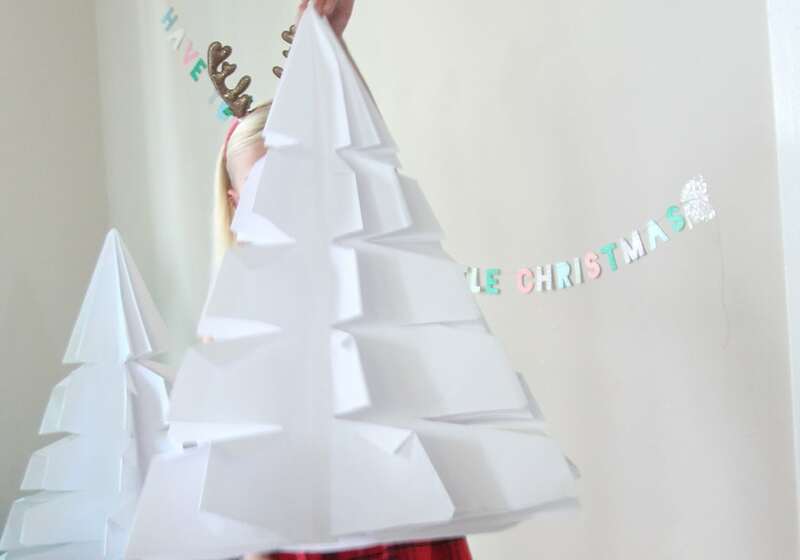 Giant DIY Origami Trees for Christmas or Winter craft project. How fun is that? 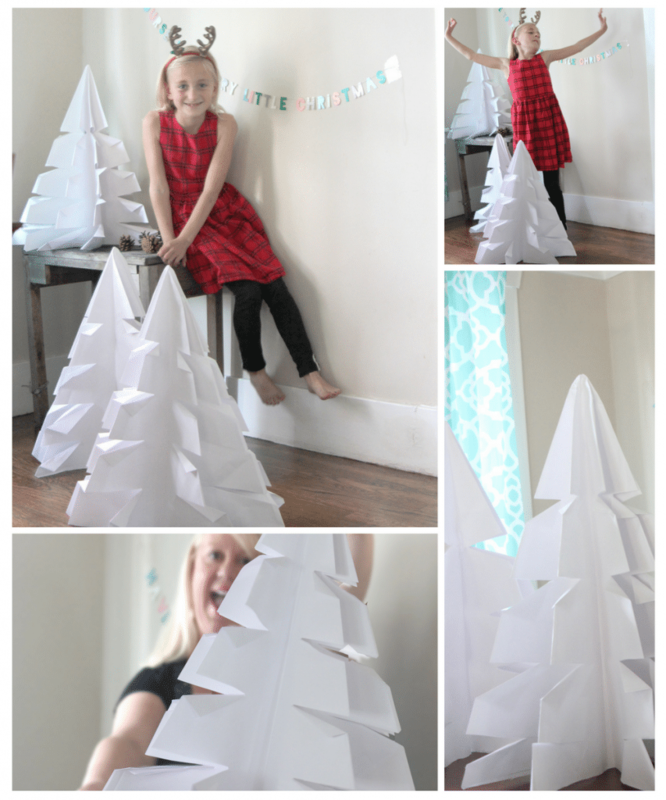 These adorable big paper trees were super fun to make, and all you need is paper and scissors. It’s that simple. All you need a big roll of butcher paper (and scissors). We got our role butcher paper at Amazon. You can also use large sheets of heavier card stock as well if you like. Then end result will be about 25% smaller than the width of your paper. First you will cut your paper into a square. Then follow either the written or video directions for your tree. Yours will be giant so expect to have some fun with this. Big sheets of paper take up the whole table, but the end result is completely worth it. 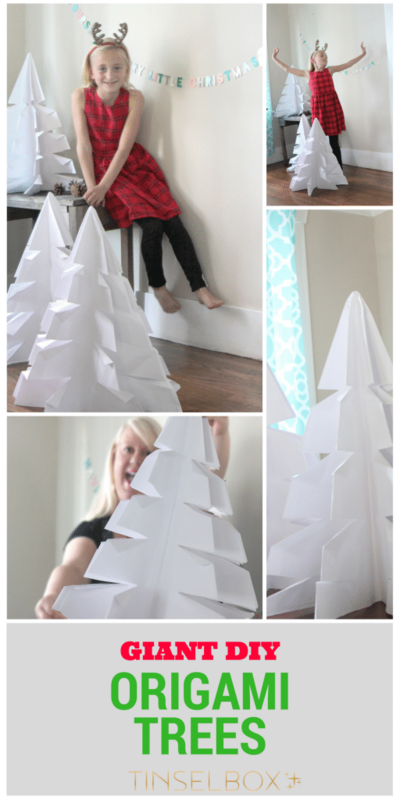 Check out how much fun we had with our finished trees. You know I always like to do projects that come out spectacular, but are very easy. The first try on this was not so easy, but once you get one done it’s a piece of cake. Get creative and use heavier stock, colored paper or watercolor the end result. It’s all about the process! Awesome Christmas winter decor idea. This giant origami DIY project looks to difficult for me.